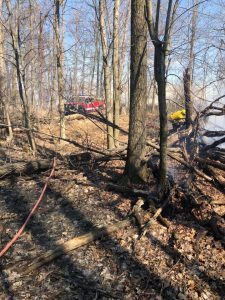 Brush 49 went to Scotch Road in Ewing for a multi-alarm brush fire (pictures below by Capt. Collins). 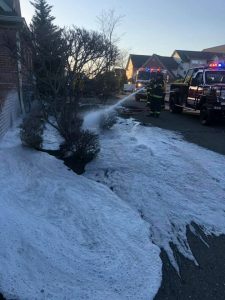 And the afternoon finished with a reported Structure Fire on Woodland Road In Plainsboro’s local, which subsequently was a brush fire with minimal extension to the siding of the house. The day is not over yet!!!! Two more runs for the day. First was a cover assignment in Hamilton Station 16 as they operated at a working structure fire. 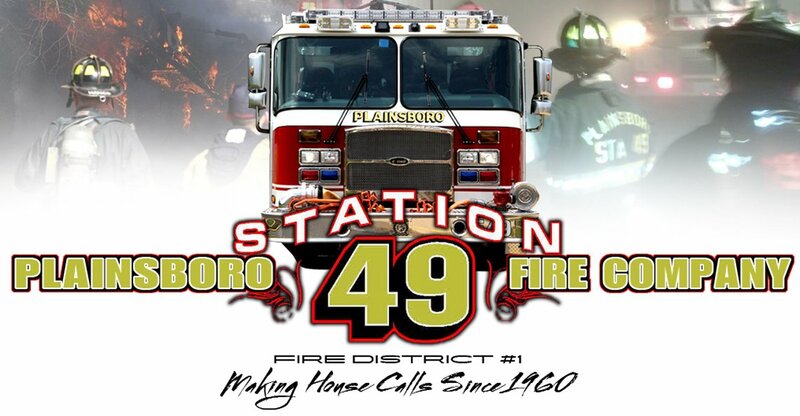 Shortly after, Station 49 was detailed to Barclay Blvd. Units arrived to find a 30’ area of much and brush burning near the residence. Crews deployed a class A foam line and raked the mulch to overhaul. As we extinguished that fire, we were requested to suppress another brush fire across the way. 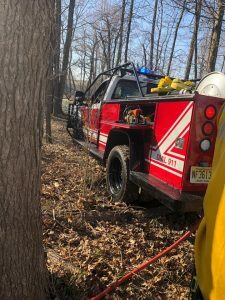 Seven total brush fires for the day.